The American Sustainable Business Council (ASBC) is a non-profit, non-partisan organization dedicated to establishing an economy based on a triple bottom line: social justice, economic prosperity, and environmental protection. Seeking change through advocacy campaigns for policy makers, education for the public and partnering with other organizations, ASBC seeks IKA to strengthen campaign strategy and support the implementation, to recruit new members, and ensure that diversity and inclusion is fully developed into the framework of the ASBC's overall organization. 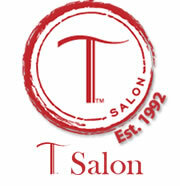 T Salon has served and donated their teas throughout the years to breast cancer awareness, ovarian cancer foundations, and heart health foundations. They support events in the public interest from Donna Karan's Urban Zen and the Clinton Global Initiative to encounters with the Dali Lama; they service spas and yoga centers, TED Talks and conferences, and hotels and Bed & Breakfasts. Guide to Impact Investing provides a pragmatic set of guidelines, concrete tools, personal stories, and examples aimed to help those interested in managing their wealth for impact and profit to develop and implement such strategies successfully and to do the most good.